SPINI’s wood carving activity is a keystone in the history of Florentine handcrafting. In the Florence of the 1930s, Ernesto Spini launched his woodcarving shop in Via del Campuccio, in the historic San Frediano quarter. After having sculpted doors and decorative panels, Ernesto Spini began to specialize in carved frames. He began marketing his products in Tuscany and then expanded to other cities in Italy and abroad. The workshop enjoyed a period of rapid growth in the 1960s, thanks above all to Sergio Spini and Elena Spini, and the company success continues even today, with the family’s third generation. The company’s collections now include many new products, and the classical is set off by creations in a contemporary key, now a distinctive feature of SPINI production. EXPERIENCE - The idea of working with classical forms and by traditional hand-crafting techniques arose from the desire to strengthen the workshop’s link with the history and indeed the art of woodworking – and over the years, the value of hand-crafting has become an essential element in defining the company’s identity. UNIQUE STYLE - Our idea of furnishings is different from the prevailing standardized, serial concept. Our interpretation of the home leaves space for every possible customization and offers a concrete alternative to “normalized” living spaces. 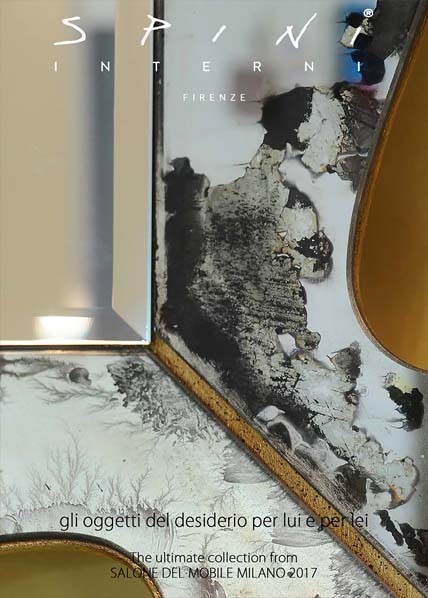 Like all our other furnishings and decorative elements, the SPINI mirrors are conceived to go beyond mere function, to become true protagonists of the spaces they enhance.